Nearly 40 acres of ancient grassland and hay meadows, supporting over 350 species of wild flowers, winner of the 'England Meadow and Grasslands Award' in 2015. When John Whetman and Audrey Compton first moved to Deer Park Farm they had their work cut out to bring back the biodiversity. Although the farm was already a County Wildlife Site, a combination of overgrazing, neglect and applications of artificial fertiliser made it difficult to know how diverse the farm actually was. 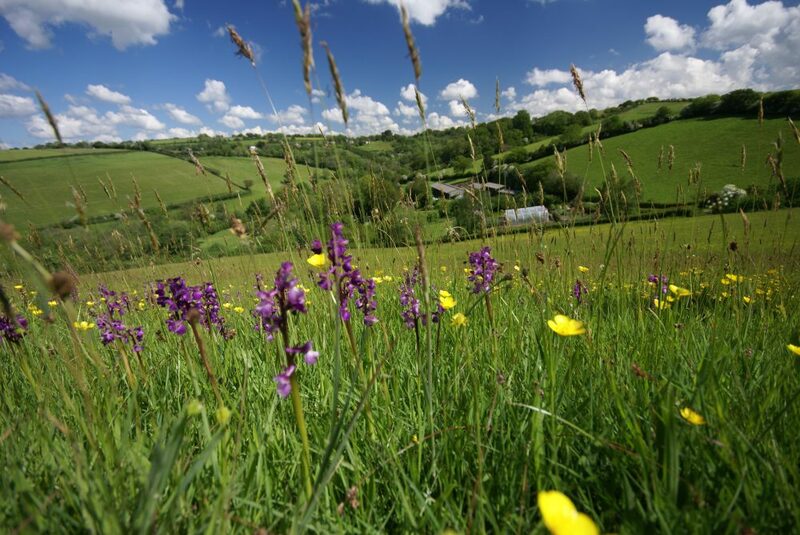 However through careful land management they have successfully restored their nearly 40 acres of ancient grassland and hay meadows, which now support over 350 species of wild flowers, including thousands of Green-winged Orchids. Their fantastic achievement was recognised when they won the England Meadow and Grasslands Award in 2015. For us, 2000 was an extraordinary year – because we bought Deer Park Farm! Despite both having full-time jobs, it seemed just the right moment to take on 47 steep hectares of land, made up of 24 little fields and four semi-ancient woodlands. The farm was already a County Wildlife Site, but a mixture of neglect, over-grazing and a recent application of artificial fertiliser on the hayfields (‘They’ll sell better if they look green’, said the auctioneers) made it difficult for us know how diverse the farm was. We bought the sixty-five, rather decrepit, resident sheep – and it was a good purchase, because they were ‘hefted’ and none of the fields were stock-proof! Our next purchase was two very inexpensive Exmoor ponies (John calls them Brushcutter and Swipe!) to help control the bracken and scrub. Altogether, this was a low stocking rate for 37 ha of grassland but it was much better to start off understocked, so that we could make species lists for every field, with some hope of there being some flowers to see. 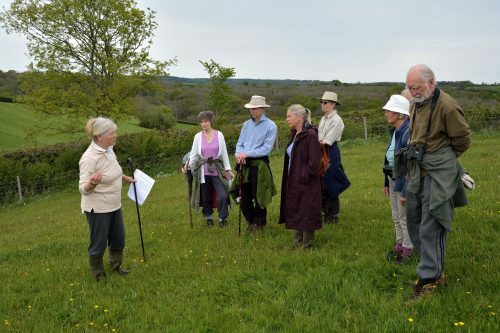 I’d been an intensive dairy farmer for 25 years and a Ranger managing Nature Reserves and Country Parks for 15 years, and John, a Horticulturalist, had owned a species-rich grassland, so it wasn’t too daunting a project. With salaries from outside, we were able to cope with initial losses of around £6,000 a year. When we transferred from the Dartmoor Environmentally Sensitive Area Scheme to the Higher Level Scheme in 2012, we started to make a small profit. But who knows what will happen when our HLS finishes in 2022! By the end of our first year, the species list had reached 360 flowering plants, and we realised that we had managed to buy an amazing farm; but that is quite a heavy responsibility. Even land that you nurture and fuss over is open to the challenges of climate change, air pollution and the extermination of invertebrates on nearby farms; so it is very important to get the management right. Nevertheless, we have made lots of mistakes – probably the biggest was stocking with just sheep for the first seven years – it made life simpler while we were both in full-time employment, but it reduced seeding levels, because sheep always eat the flowers first! Stocking rates, grazing systems and stock species are all very important, and we have now settled on a stocking rate of about 0.7 livestock units per hectare (1 unit = 1 mature cow or 5 ewes). 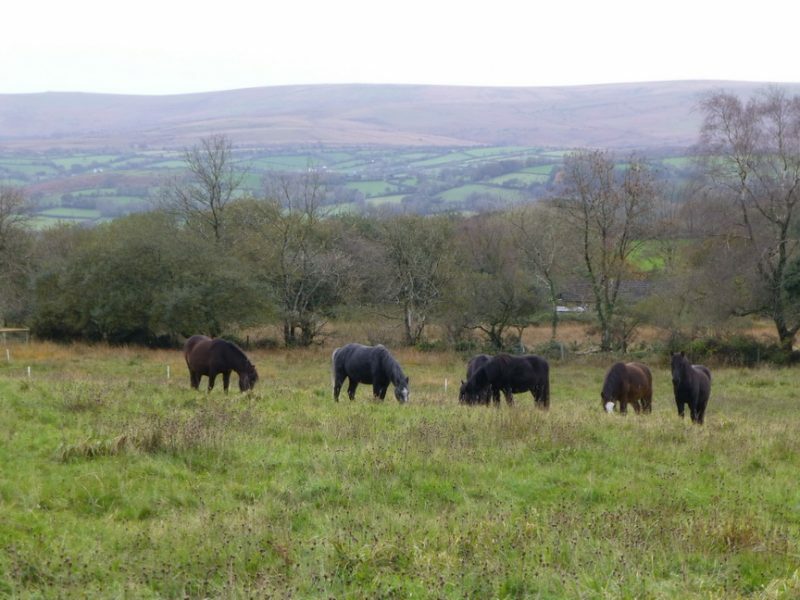 About 3/4 of our units are cattle (a small suckler herd), 1/4 sheep (about 60 ewes) + the 2 Exmoor ponies. Most of our land is very steep (this is why the meadow flowers have survived), but we have just enough sloping land to make our own late, flowery, big bale hay, though we still have to buy in straw and some barley/concentrates to boost feed quality in the winter. Overall, this is a traditional farm, with a pretty small carbon footprint. Over the last 18 years, we have managed to lay almost all of our hedges and fence all of our fields – grant aid has been a massive help, as we have about three miles of wonderful, medieval hedges, which are very important to the farm’s biodiversity. Our small field size and the occasional use of electric fences has made grazing control easier – each year some fields are grazed lightly with cattle (but NO sheep) to let wildflowers seed and to provide lots of nectar for pollinators. Although most of our fields may never have been ploughed, the previous owner had used four fields for cut-flower production and three hayfields for an unsuccessful crop of barley. All except two of these fields are now species-rich again – being surrounded by flowery fields has really helped, but we have also harvested seeds from adjoining fields and spread them on bare patches. Our animals have probably also spread seeds in their dung, but that single dose of fertiliser, before our arrival, on the hayfields took many years to lose its influence! In 2000 we only found about 20 green-winged orchids on the farm – but ten years later there were around 2,000, with some in most of our fields. It is still a struggle to ‘keep to plan’ – a dry year puts pressure on fields that were meant to have been allowed to seed, as the welfare of our grazing animals has to come first. 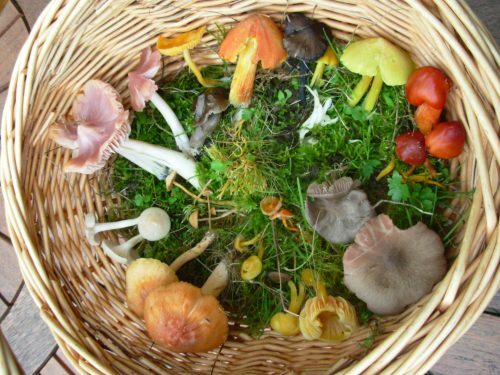 What’s more, the best management for our winter ‘flowering’ of waxcap fungi is tight summer grazing – quite different from management for summer flowers. But a bit of chaos is only natural, we tell ourselves! Among our key species are green-winged orchids, five other orchid species, pepper-saxifrage, pale sedge, devil’s-bit scabious and corky-fruited water-dropwort. Several very steep, north-facing fields have many thousand primroses and violets flowering in spring. Invertebrates include great green bush crickets, wasp spiders, dingy skippers and violet oil beetles, and the grassland supports a wealth of birdlife including whitethroat, skylark and, in winter, woodcock. Our fungi include around 90 grassland species, the farm is nationally important for them – and the spectacle of hundreds of jewel-coloured waxcaps dotted over a November field is hard to resist. Our farm is also important to bats – and in particular the Chudleigh Rock Greater Horseshoe Bat colony (a Special Area of Conservation), so careful worming is important to ensure there are plenty of dung beetles. Our species list, including invertebrates, is now over 1,100. That’s an awful lot of creatures to look after! 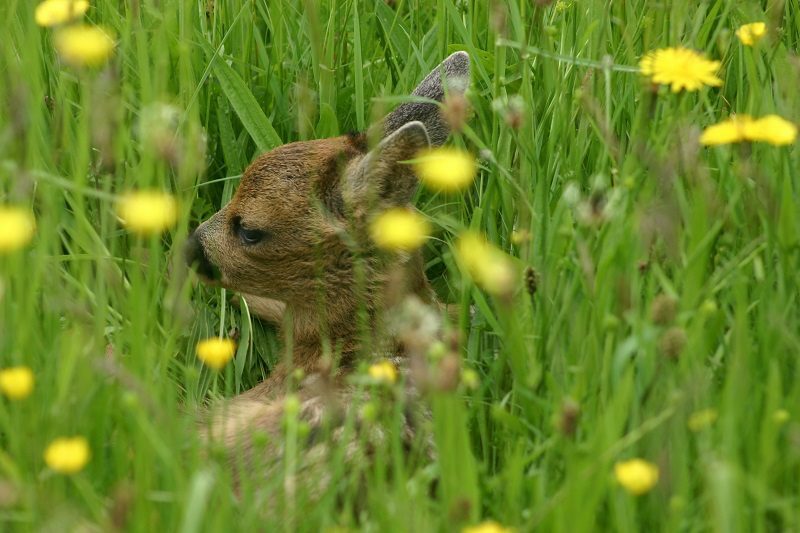 Ever since our first year, we have welcomed people to Deer Park Farm – specialist groups, families and schools; it would seem very strange to have all this lovely wildlife and not share it. We now have about 35 groups and 500 visitors every year – and we always learn so much from the people who visit. 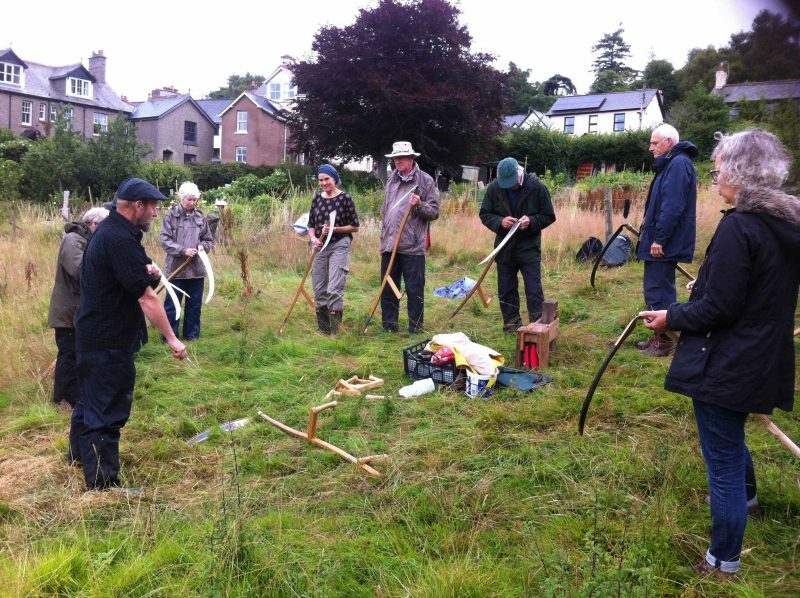 Our visits include ‘seed gathering’ days, so that people can create their own flowery meadows. Because we have grandchildren with autism, we especially love visits from local special schools; for these children our farm is a place where they can run free, pick flowers, paddle in the Brook and fish out little swimming creatures. Farming can be a lonely job and we have met so many lovely people! In 2015 we were amazed and delighted to win the Plantlife competition for ‘Meadowmakers’ in England – partly because we welcome and share this amazing little farm with anyone who is interested. A four and a half acre community meadow in Chagford, previously grazed by sheep, now managed for its wildflowers and wildlife. 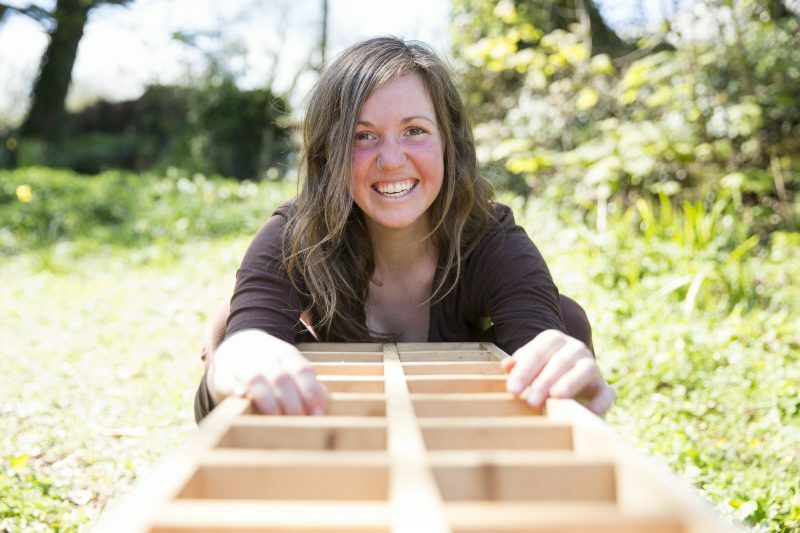 Cami Rose and Jamie Perrelet's stewardship of The Meadow, a wild pollinator and honeybee sanctuary, on the Dartington Estate, Totnes. A small two acre meadow at over 300 metres altitude. David and Jackie have turned five acres of heavily grazed pony paddocks at Buckfastleigh into flower-rich grasslands alive with wildlife.